Being frugal is about more than being stingy with your money. It means being prudent, smart and economical with your finances and career decisions. Every Tuesday, we share profiles of athletes that exemplify what it means to be A Frugal Athlete. Just because you can throw around a lot of capital doesn't mean you are a great investor. Investing not only takes due diligence but fortitude, patience, discipline, business acumen and even luck in some cases. As athletes you have more capital than most to invest in whatever have you; stocks, start ups, real estate,etc. But what good is capital if you don't know what do to or how to go about investing. Terms like seed round, convertible note, and other various investment terminologies should be common knowledge if you really want to be a successful investor. Understanding a term sheet, or how to evaluate whether a valuation is in the right range are things one should have an idea about. Marques Colston is making a big effort to help athletes learn more about the intricacies to investing. He has developed a partnership with Columbia Business School to develop a program that teaches professional athletes executive education courses focused on the venture space. This is a great initiative that give athletes the opportunity to learn more and add to their playbook as their interest in entrepreneurship grows. Marques Colston is quite a frugal athlete himself. During his standout 10 year career with the New Orleans Saints, Colston became quite the investor. He has a stake in the arena football team Philadelphia Soul and has invested early in a number of start ups. On a personal level he started his own marketing firm called Dynasty Sports Group. 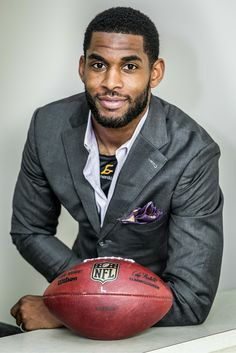 Colston is consistently recognized as an athlete that has been prudent financially and regularly recognized as an athlete well versed in investing and entrepreneurship. Colston sets a great example of what it really takes to be successful in investing, which is education. Athletes have the capital part down but without the education and knowledge of how to go about it, it's null and void. What makes Marques Colston a great person is that he's creating a platform for his fellow peers to improve their own financial playbooks instead of boasting about what returns he made from so and so investment he has created a system for others to grow their own financial base.